FiftyThree, the creators of the popular Paper app for iOS, has released its first SDK for developers to integrate its Pencil stylus into third-party apps. The FiftyThree SDK is timed just before the public release of iOS 8 (and during the beta period) to offer developers the option of adding surface pressure, palm rejection, simple pairing and touch classifiers in apps other than Paper. 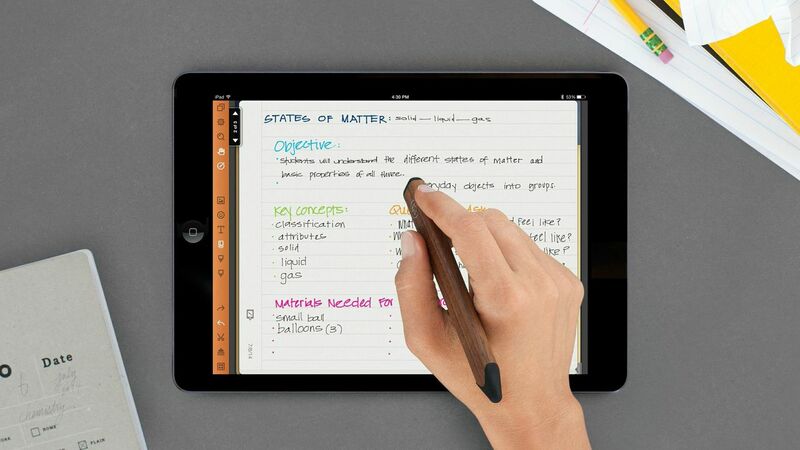 Pencil was developed as a way to easily sketch and draw on an iPad, and like a real pencil has an “eraser” on the opposite end of the stylus to easily remove marks on the page. Pencil costs between $60 and $75 depending on the finish (either graphite or walnut) and works with all iPads after the iPad 3. Surface pressure is a feature coming in iOS 8, which mimics the idea of surface tension without a pressure-sensitive digitizer. The FiftyThree SDK has already been integrated into several apps, including Procreate, Noteshelf and Squiggle, with more to come.